Paul Hanlon, lead stylist for Fekkai designed this look by making sure each portion of hair was fastidiously sprayed, brushed and blow-dried into place. while it took some time to create, the end result is undeniable worth it. i love NYX cosmetics as they are affordable, accessible and great items from everyday to walking the runway. 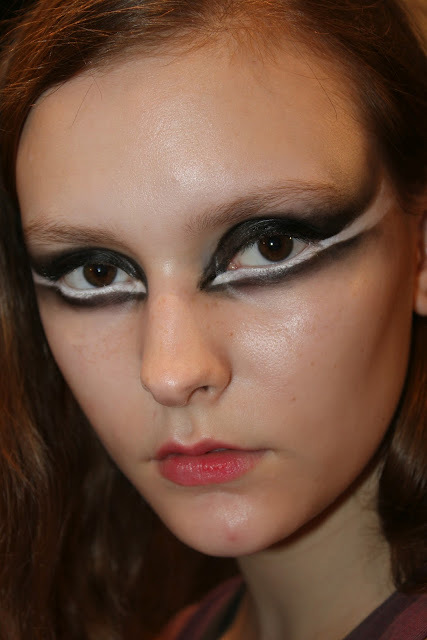 i'm getting a bit of a Black Swan Vibe from this look. so beautiful.